Have you wondered what exactly is the business loan criteria to qualify for financing in Singapore? Did you ever had your business loan application rejected by banks? It is a common practice for most banks and financiers not to reveal the reason for business loan rejections. 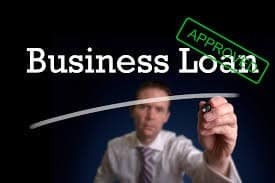 Most SME owners are usually left in the dark as to the specific reasons why their SME loan applications were rejected. You might chance upon a business opportunity to expand your company but lack of capital is hindering your plans. It is therefore vital that you have some basic information on the credit criteria of banks for business financing. With this knowledge, you’ll be well prepared to optimize your chances of securing an approval when opportunity strikes and you require financing to exploit a good business deal. Banks will not openly disclose their credit criteria for obvious reasons. Further, no two banks have the exact same credit assessment. It is perplexing for SME owners not in the know to guess what are the loan assessment factors of banks. Thankfully, we can reference upon a classic old school credit assessment methodology which most business lending criteria is loosely based on. The 5 Cs comprise the basic steps that are used to evaluate a business’s credit worthiness. The following frame of reference is adopted by banks as business loan criteria. The first thing judged in a potential borrower is his credit history. This can also comprise records of your personal credit history as well as the history of your business. Banks usually analyze your credit bureau report on payment conduct, your existing loans and how long you took to clear your outstanding loans. It is logical that someone who’s tardy in their payment conduct will likely not be a prompt paymaster. The amount of money that had been invested in the business by the borrower, is acknowledged as capital or equity. The banks’ credit officers inspect the amount of capital of the business. Of course, the higher the capital the more safety buffer lenders have in event of loan default. But if capital is negative, i.e. total liabilities are more than total assets, the borrower is deemed to be “negative equity”. This will be extremely adverse for loan assessment. If unfortunately, a borrower defaults on a loan, then the bank has the legal rights to make claims on any valuable financial asset, to compensate for the unpaid arrears. These assets pledged to the bank for facilities granted is known as collateral. An intangible collateral in the form of personal guarantees can also be signed by a third party who, agrees to pay your arrears, if you are unable to. A strong collateral secures the trust of the lender and provides additional assurance. A lender’s first question is usually asked in relation to why a loan is required. It can be understood as what is the borrower’s intent behind acquiring a loan. It might be needed as a capital required for investment in a business, to expand your business or even to purchase new inventory and equipment. The condition may also refer to the prevailing circumstances of the local economy. If there is an ongoing recessive economy conditions, then it might lower your prospects of securing a small business loan. Your ability to repay the loan is considered as capacity. Bank lenders are mostly interested in how you plan to pay your debt and how long it will take to settle your loan. This can be calculated by analyzing your debt-to-income ratio. With a higher debt-to-income ratio, lenders usually hesitate to issue a loan. Mainlining a healthy positive cash flow will also aid in the assessment of capacity to repay your dues. 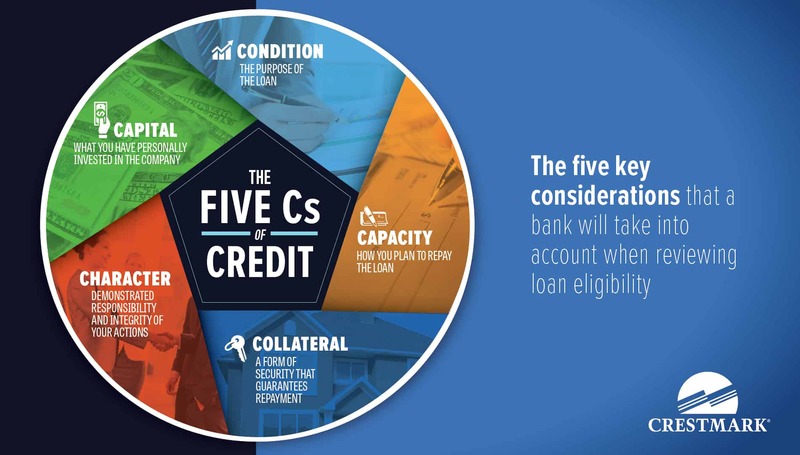 No modern banks still rely solely on the 5Cs as business loan criteria today. But this methodology will still give you a good overview on the fundamentals of credit criteria that influences lender’s decision to grant a SME loan. Landing a business loan is not much of an arduous task. Be mindful of the 5 Cs discussed above and that should put you in a good position to have your business financing approved.